Changing your hair color is one of the easiest ways to change your look. 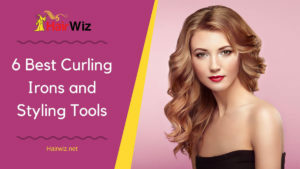 And if you're one of the many people who constantly buys hair dye with the plans of changing your hair color in the near future, then you probably have one or more hair dye boxes lying around. Sometimes, though, you forget about it and accidentally find them in one of your shelves and decide it's about time you change your hair color once again. But when you check the box for an expiration date, you can't seem to find one. So can you still use it? Will it still work? And will it color your hair? Companies don't put expiration dates on hair dyes today since they basically last a lifetime if stored properly. 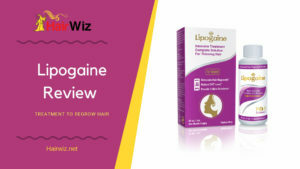 But they do go bad and if you still use them, you may suffer from a list of adverse side effects that might cause irreversible damage not only to your hair but to your skin, too. 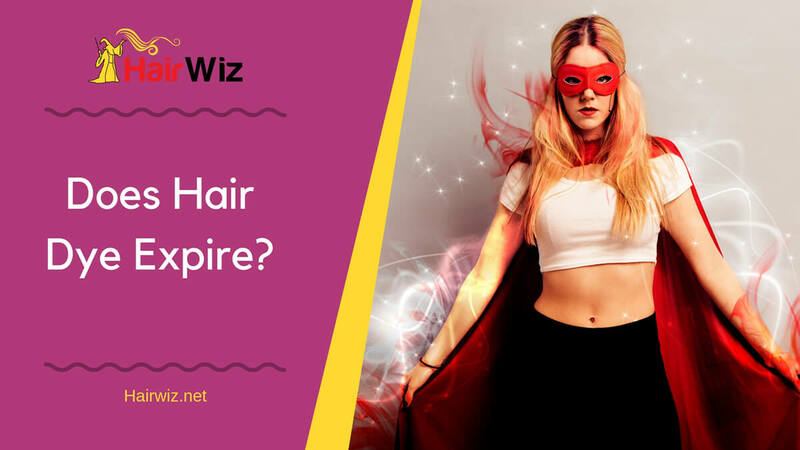 ​So before you use that box of hair dye that's been lying around, here are the basic things you need to know about hair dye expiration. 4 Why are There No Expiration Dates on Hair Dye Boxes? Manufacturers attest that hair dye can last a lifetime, which is why they don't put expiration dates on the boxes or jars. But depending on how you store them, they can either last long or go bad. You opened the packaging and air/sunlight has seeped in causing chemical reactions. You stored it in a hot and humid place. You mixed the dye and stored it in another container. The dye is made of organic or natural ingredients - which expire faster than chemical grade dyes. The average shelf life of an opened hair dye is 1-2 years while an unopened hair dye will last longer at 3 years. ​When unopened, you have to store the hair dye in a cool, dry place, and away from direct sunlight and humidity. If you do so, the product will last up to 3 years in good condition. Direct sunlight - It will warm up or heat the chemicals, causing them to separate and rendering the dye useless. Air - Air causes rapid oxidation. If the product contains peroxide, it will interact with the oxygen in the air and cause the dye to go bad. Moisture - Moisture damages packaging if the hair dye comes in a box, and can lead to oxidation as well. Micro-organisms - Bacteria and microorganisms can interact with the chemicals and thrive in the ammonia present in the dye, causing several chemical reactions that will cause the dye to go bad. Wrong Color - If indeed the dye still colors, the color on the box will not be the color that you get. Uneven Color - If the dye still works, your hair will be in patches of different colors. 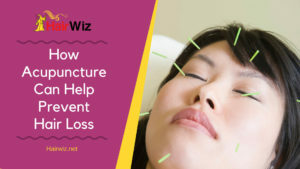 These side effects are some of the more common side effects as reported by users. You may react differently to the dye, but to be on the safe side, it is best that you avoid using expired hair dyes. Any Noticeable Swelling on the Packaging - Swelling on the packaging means air has seeped through the box or container and has caused oxidation. If the dye is contained in a hard container, no noticeable change in the packaging shape will occur. Sings of Spoilage on the Cap or Lid - To check for spoilage when the dye is contained in a hard container, check the cap or lid. It is possible that the lid may have gotten loose and air had see[ed through. A yellowish or orange-y color around the lid will usually form. Open the Hair Dye - Check to see if a water-like liquid has formed on top of the dye. If presence of this transparent liquid has occurred, then the chemicals have separated and your dye has gone bad. Smell the Dye - If the dye lets out a bad, spoiled odor, then it had most likely gone bad. If you don't find any of these signs but still want to make sure, you can call the manufacturer, give them the batch code of the dye you have, (which is found on the box) and the company will be able to give you the production date of the product. You can then gauge whether or not your unopened hair dye box has reached the maximum shelf life of 3 years or not. As mentioned earlier, most companies do not place expiration dates on their hair dye boxes since they can last indefinitely a long time when stored properly - especially for professional dyes, which contain a lot of chemicals that help preserve the dye. Some people also store their dyes in a cool place, such as a chiller of refrigerator, helping to extend their shelf life. 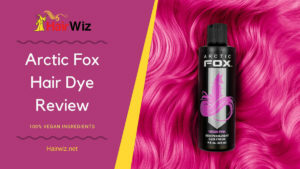 Drugstore hair dyes, however, typically have shorter shelf lives compared to professional-grade dyes, as well as products that contain organic or more natural ingredients (like Arctic Fox Hair Dye). Storing them may require more care than simply placing them in a cool, dry place. While manufacturers attest their hair dyes can last a lifetime, many factors contribute to their spoilage, rendering them not only useless but actually dangerous to use, too. Remember that storing your hair dye the proper way is key to making them last longer, so you get what you pay for and not spoil your money away.